Click the button below to add the Cold Steel Finn Bear to your wish list. 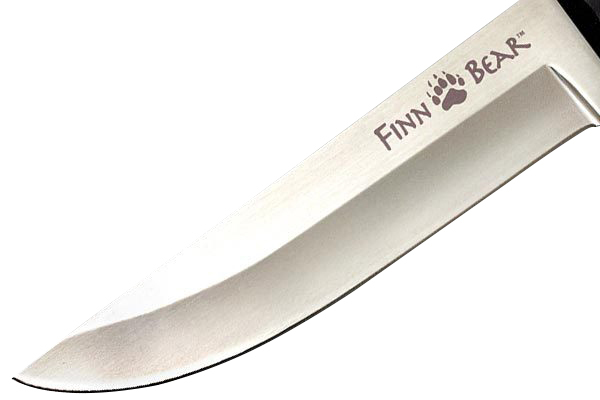 Cold Steel Finn Bear is the budget-friendly version of the famous Cold Steel Sisu™. Inspired by Finnish heritage, the classic, functional blade shape has a pointed tip handy for piercing tasks, and a long belly for skinning, cutting and carving. It can handle skinning a moose to slicing delicate tomatoes. Made of German 4116 stainless steel, the blade is hollow ground with Rc hardness of 56-67; thus it has good edge retention and is easy to sharpen. 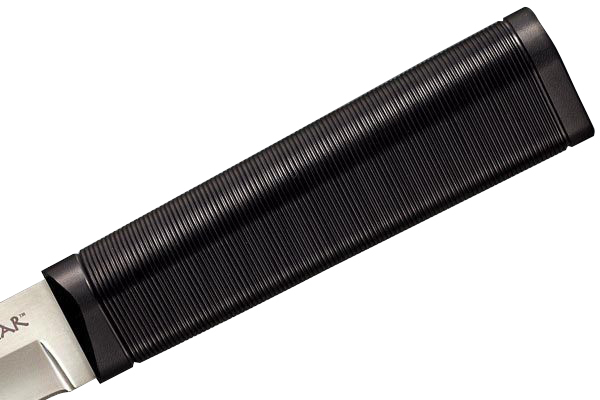 The straight handle is made of tough Polypropylene making it resistant to swelling, shrinking, and cracking. Its modified diamond cross section shape accommodates various gripping styles while its ribbed texture provides a secure grip. Included with the knife is a deep-pouch style Cor-Ex sheath and a belt loop so it can be comfortably worn on the waist or worn as a neck knife. The Cold Steel Finn Bear is ideal for hunting, fishing, and camping trips, and also makes for an efficient utility knife.